Pinched nerve lower back pain may defy clinical expectations, since localized pain is not a typical lasting symptom of an impinged nerve root. Pinched nerves remain one of the most commonly misdiagnosed of all theorized mechanisms for dorsalgia. While compressive neuropathies surely exist and can generate a diversity of symptoms throughout the anatomy, they are actually rarely involved in actual serious back or neck pain, especially when symptoms become chronic and endure for an extended duration. Doctors spend a huge amount of time learning about neurological function and dysfunction in school. However it seems that much of this knowledge is either conveniently “forgotten” or simply disregarded when it comes to clinical practice. This is the only logical explanation for the types of diagnostic mistakes we witness regularly when it comes to lumbar pinched nerves. This crucial essay explores the pinched nerve root diagnosis. We will provide an objective clinical expectation of symptomology and causation, and then contrast this scientific view against the clinical blunders we observe throughout the dorsalgia treatment sector. 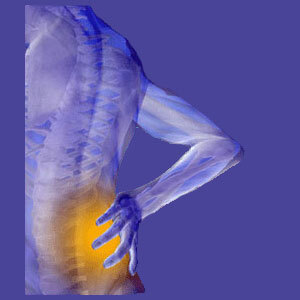 Finally, we will discuss the best treatment for pinched nerves, when they truly exist in symptomatic state. Pinched nerves are not nearly as common as doctors would like us to believe. However, when they occur, the incidence of their existence is highest in the lowest levels of the lumbar spine, particularly affecting the L5 and S1 nerve roots. This is logical, given that the processes that contribute to pinched nerves are virtually universally experienced in the lower lumbar spinal levels. Pinched nerves can occur within the central vertebral canal or within the neuroforaminal spaces. In the central canal, it is possible for numerous nerve roots to be compressed by a singular or multiple causative processes. In the foramina, only a single unilateral nerve can be compressed for each opening that is affected by severe foraminal stenosis. In the central vertebral canal, one or more nerve roots can become compressed due to many possible causations. The most common of these mechanisms include central and paracentral herniated discs and general arthritic spinal stenosis. Less common causes of compressive neuropathies in the central canal include traumatic injury, vertebral fracture, spondylolisthesis, lumbar scoliosis, extreme hyperlordosis, ligamentous hypertrophy and ossification and congenitally narrowed canal spaces. In the neural foramina, the most common causes of pinched nerves are general arthritic accumulations that reduce the patency of the opening, facet joint osteophytes that narrow the posterior side of the openings, paracentral, foraminal and extraforaminal herniated discs, severely desiccated discs, spondylolisthesis and scoliosis. Pain might appear at the compression site, but will likely not last long, if it is experienced at all. Pain will likely be present in the innervated area of the anatomy, but will also rarely last for an extended timeline. Pain will likely fade to tingling and progressive numbness. Eventually, after days or weeks, the patient is likely to lose most feeling in the area that is innervated and might also experience a dull burning numbness at the compression site. Patients will likely suffer progressive weakness in the innervated bodily region, including the development of functional deficits, such as foot drop, incontinence, sexual dysfunction or location-specific paralysis. 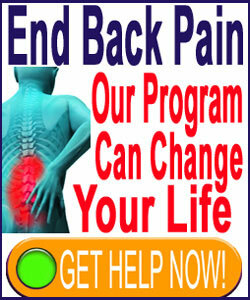 Symptoms will correlate by location to each compressed nerve root. For single level unilateral neuropathies, which describe about 95% of affected patient profiles; symptoms will be limited in location, scope and expression. Multiple compressive neuropathies will increase the scope, affected region and possible expressions all the way to the diagnosis of cauda equina syndrome, which describes multiple nerve root compression within the central canal space. It is difficult to generalize about the prognosis or best treatment options for true pinched nerves. This is because each causative process will affect the way the condition develops, how it resolves and how it must be treated. Many sources of compressive neuropathy might resolve all by themselves, with no formal therapy needed. This is particularly true for transient cases of nerve compression enacted by injury, herniated discs, some forms of ligament hypertrophy and some causes of hyperlordosis. Arthritic accumulations, facet joint osteophytes and congenitally narrowed canals will usually require surgical intervention to relieve impingement of a nerve root. Minimally invasive care is usually sufficient and successful for these causative mechanisms of neurological compression. Spondylolisthesis, scoliosis and some forms of hyperlordosis will need to be treated aggressively, most commonly with drastic spinal fusion operations that are both dangerous and against the natural engineering of the vertebral column. However, this is the only viable treatment path for some patients and at least offers the hope for resolving neurological compression and preserving physical functionality once healing is complete.